This simple project is reminding people that as humans, we are the Guardians of our BLUE-GREEN PLANET and that we are now becoming aware of our own innate Healing Powers. By tuning into the Source, Earth energies, Love, Natural cycles and a sacred diet of food, water and music, this awesome power will return to our own HEARTS and HANDS. Use your power for the HIGHER Good of All- NOW. 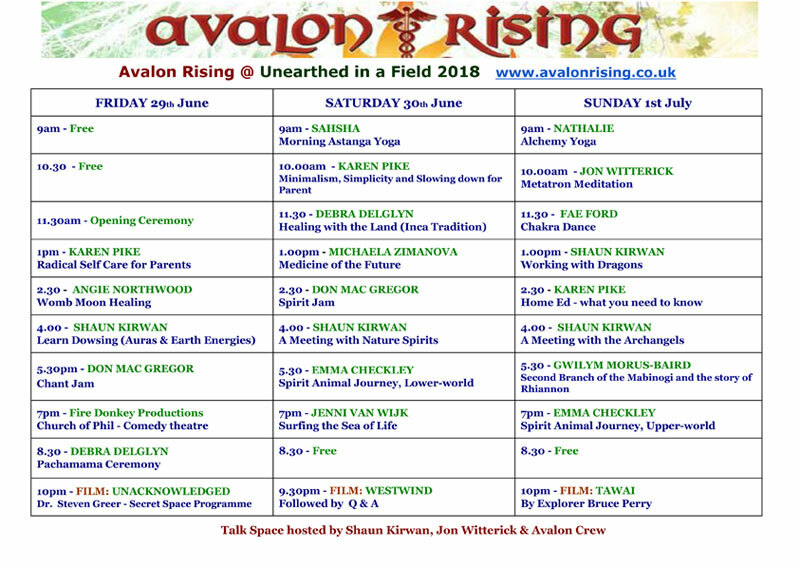 We are a collective of beings, bringing conscious information and healing to all who attend our gatherings and events. Our aim is the Awaking of Human Consciousness and the Healing our Planet. 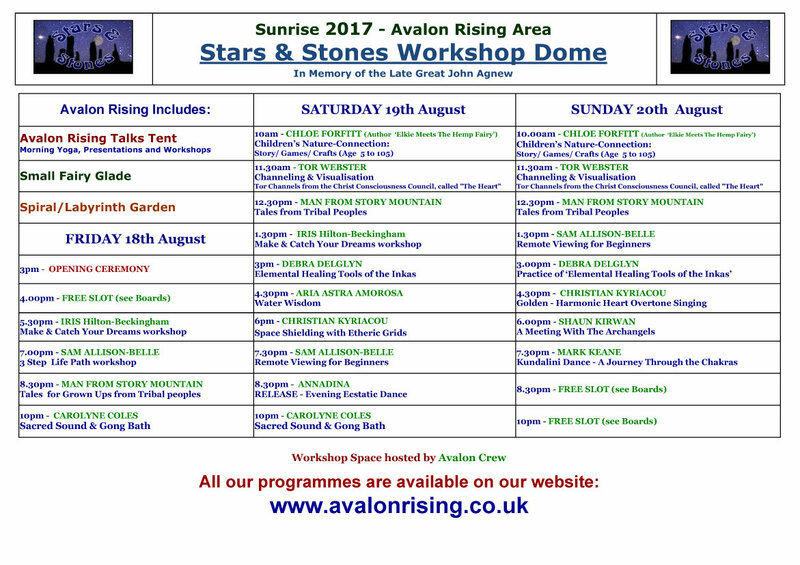 We are back at sunrise after last years very successful event! This year we get to create our popular Fairy Glade in the woods for the first time at Sunrise! If you are at sunrise pleas come and check out our fairy glade behind our main tent! 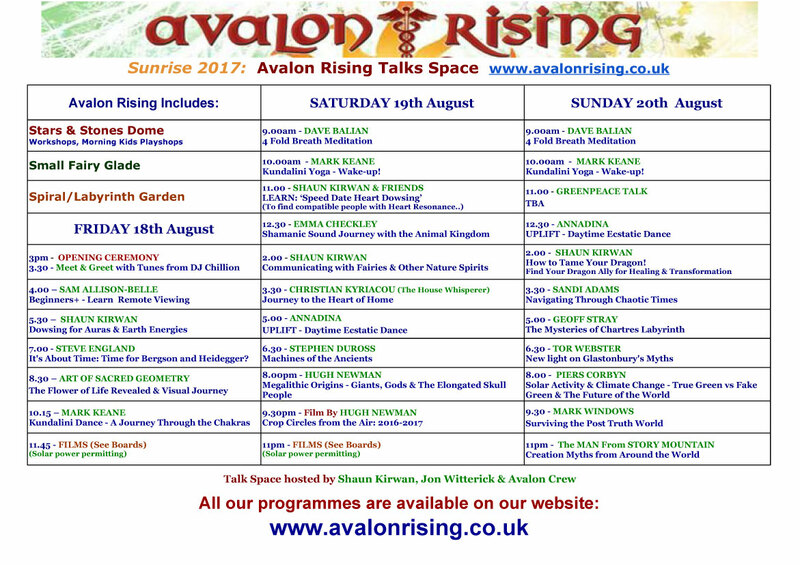 We have a stunning line up of talks and workshops including Talks that the Green Gathering Banned! Peirs Corbyn returns with his Scientific approach to Climate change, and well as Ian R Crane on the State of Geo Politics and fracking in the UK. 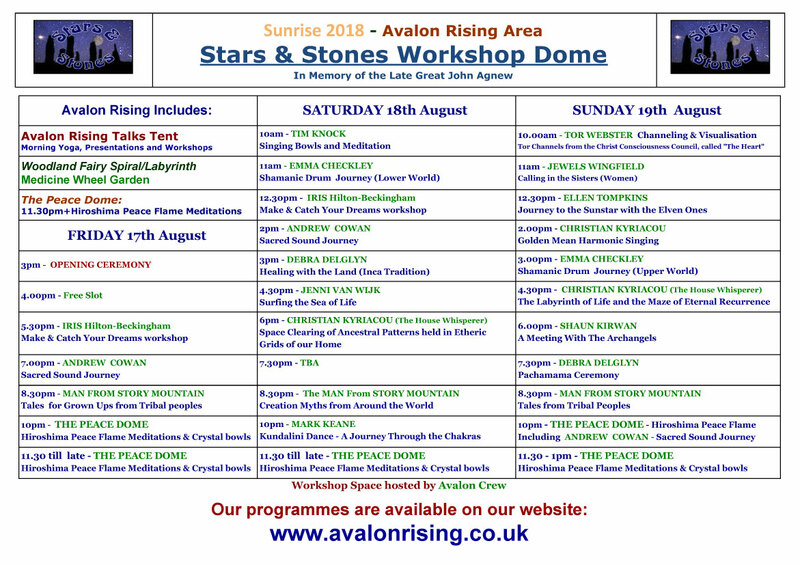 Plus many more experiential workshops and Talks to awaken your heart and minds! Beautiful weather, Beautiful People, Great Content - Talks, Workshops & Films.. Were are back at sunrise this year!! 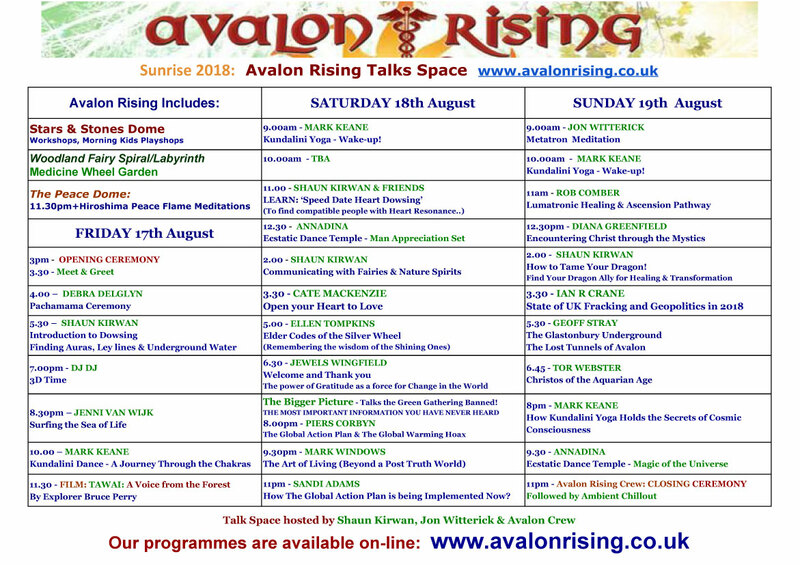 The Festival starts today, Here is are line up!